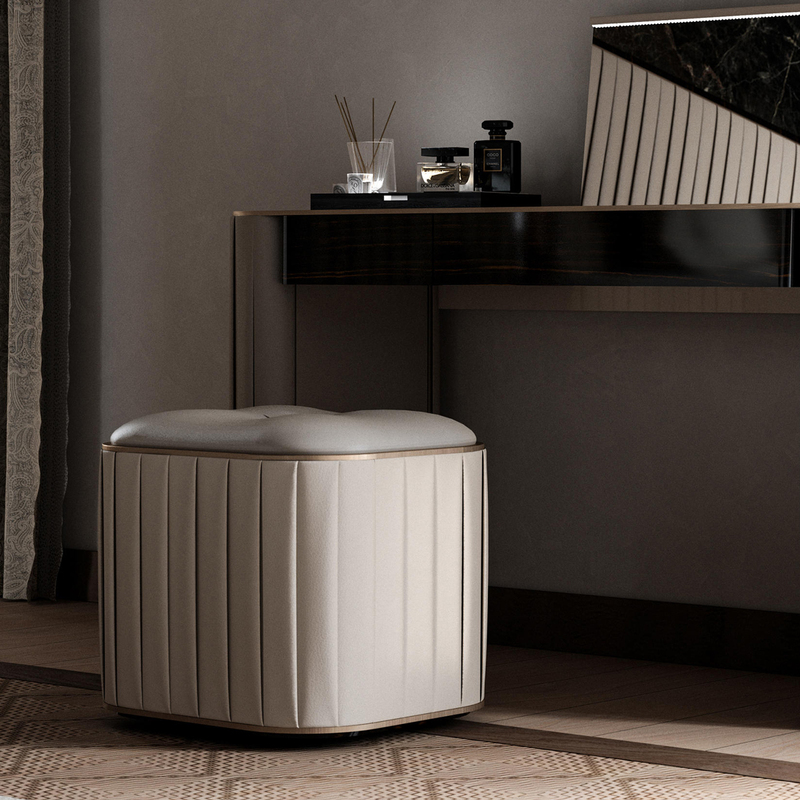 High-end Plissé Ottoman, upholstered in pleated Fabric or Leather. 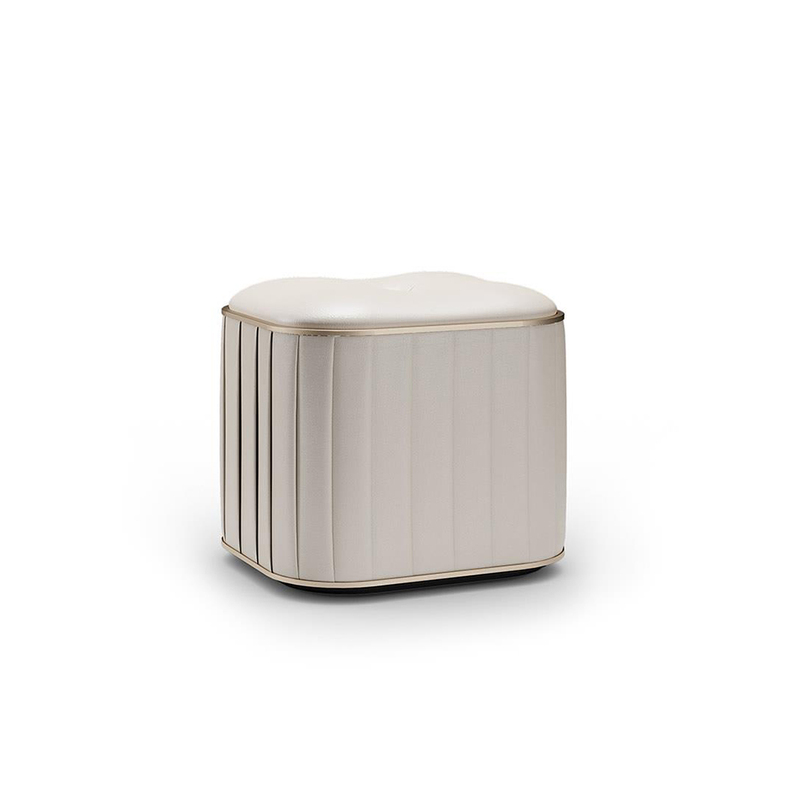 This luxury ottoman has delicate details in satin Brass finish. 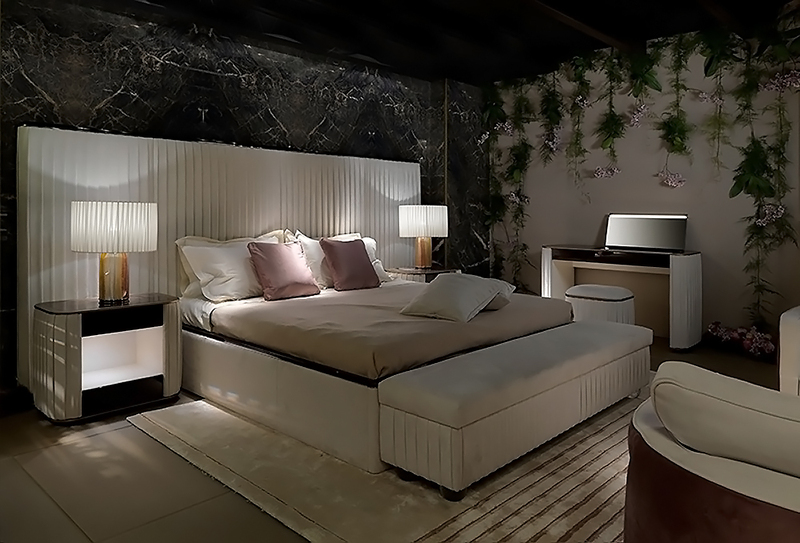 A great accessory to any Master Bedroom or in sophisticated living areas. 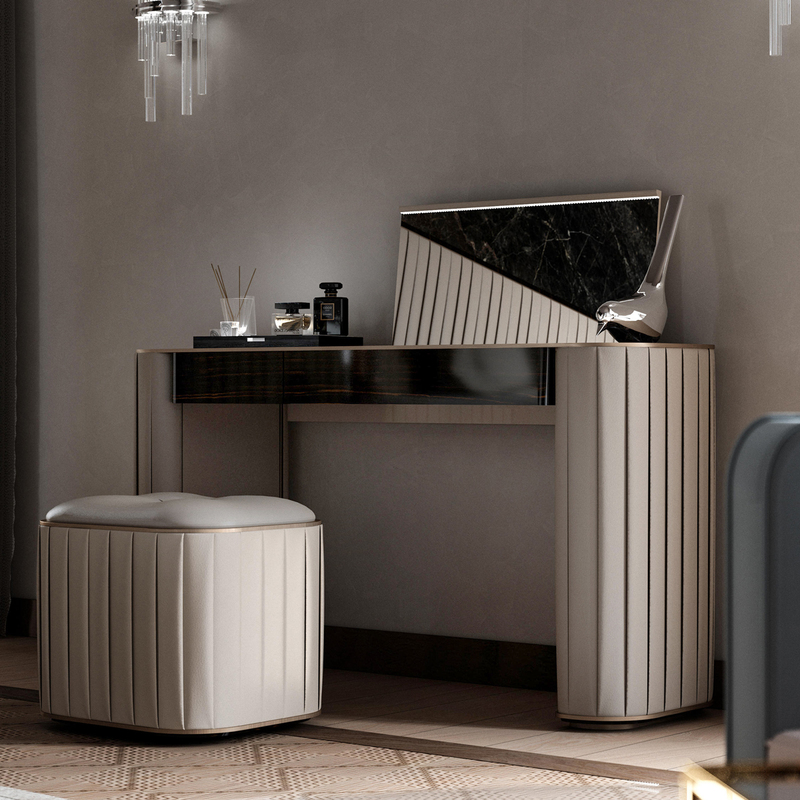 This Italian Furniture piece matches perfectly the Plissé Vanity (see related products), making the ideal couple.